Sun Technology Joint Stock Company was established in 2005 in Ho Chi Minh City, Vietnam. The principal activities of the company are sales and services of medical devices. The company is highly specialized in the area of endoscopy and minimally invasive surgery. We have recently ventured into operating room integration as well as consultation for reprocessing protocols. 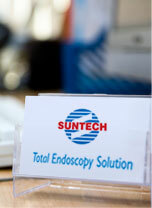 We are providing the Total Endoscopy Solution.